The deconstruction of Google+ continues, with another key service moving over to a more successful property. At some point, Google may want to consider changing the name of its social network to Google Minus. That’s because features routinely are killed off or shifted away, with the latest being Hangouts on Air. According to a YouTube help page update, your live Hangouts broadcasts will move away from Google+ and onto YouTube Live on Sept. 12. Any future scheduled Hangouts for on or after that date will be shifted over to YouTube Live. The native Q&A feature from Hangouts on Air is also being killed off, with Google recommending broadcasters just use social media or a similar feature inside of Google Slides. This move comes just a few days after Google removed the +1 button and requirement to have a Google+ account to leave reviews in the Play Store. 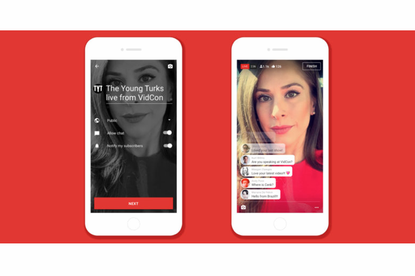 Why this matters: As one of Google’s most successful products, YouTube is a more natural fit for live streaming. Hangouts had some traction back in 2012 when it launched as live streaming was a relatively new technology, but now it’s pretty mainstream with Facebook Live and Periscope part of the popular conversation.